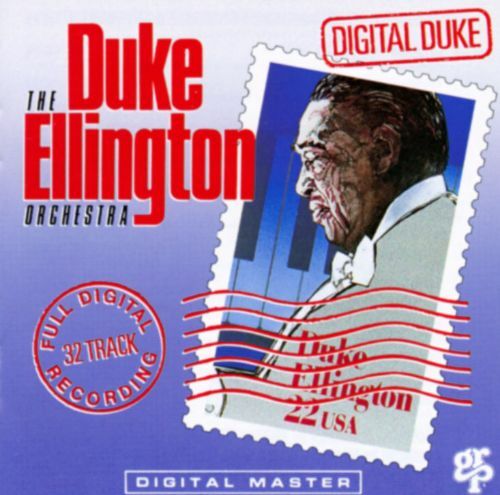 Duke Ellington is a jazz legend. He lived from 1899 to 1974 and composed over 3,000 songs. He grew up in DC and started to play the piano at age 7, although he did not take it seriously until he was 14. Ellington went on to have an amazingly successful 50 year music career, playing over 20,000 shows across many continents. He was awarded the Pulitzer Prize, the French Legion of Honor, the President’s Gold Medal, the Medal of Freedom, and 13 Grammy’s. All were appropriately awarded to one of the greatest musicians ever. Digital Duke is a compilation album put out in 1987 and contained 12 incredible songs that will have you listening to this album for weeks on end. The record starts off with the smooth and ever-so-jazzy “Satin Doll” which introduces the greatness you’re about to experience. “Cottontail” picks up the pace and shows the amazing skills of all the musicians in Ellington’s band. “Perdido” showcases the Bass players skills with an awesome walking bass line. “22 Cent Stomp” shows off the horn section of the band with the incredible unisons in this song. “In a Mellotone” is the track that really shows off Duke Ellington’s playing even though the whole album does this as well. “Sophisticated Lady” contains a sweet saxophone solo which leads into my personal favorite, and last track on the album, “Take The “A” Train”. The feel of this tune is unreal and captures exactly what Duke Ellington was all about. A true jazz legend.